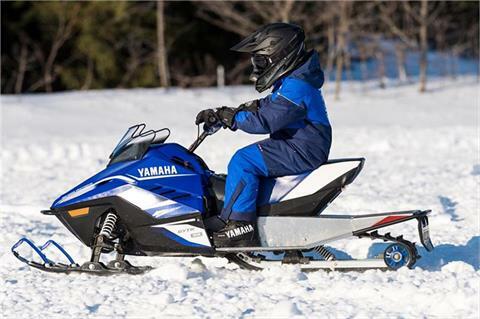 HAND WARMERS: Parents all know that cold hands can cut a kid’s day short. The SnoScoot features standard heated grips to extend the fun. 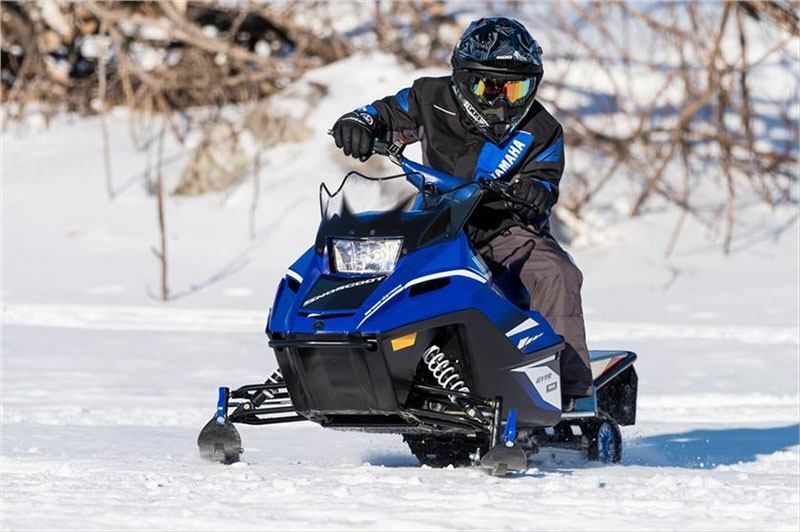 FRONT SUSPENSION GEOMETRY: Spindles and A-arms have been designed with geometry to help keep the steering effort low and Handling precise. ELECTRONIC REV LIMITER: The 200 cc engine has an electronic rev limiter to make sure the maximum reliable RPM is never exceeded to ensure long engine life and safe operation. 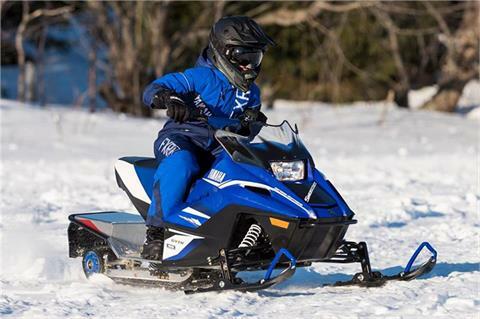 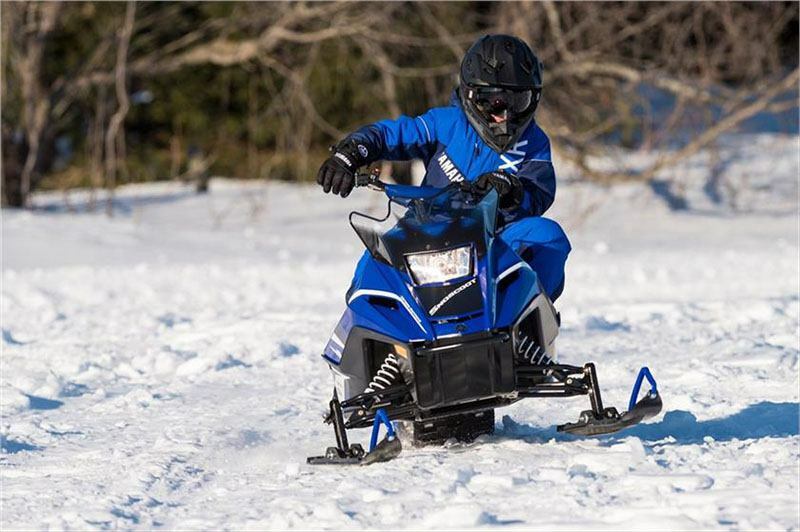 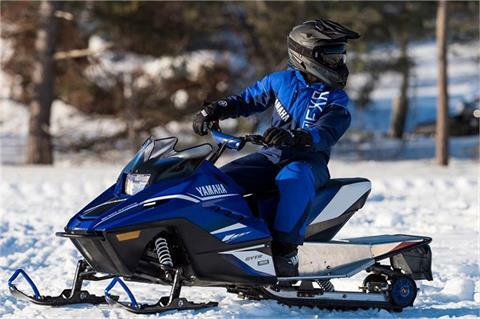 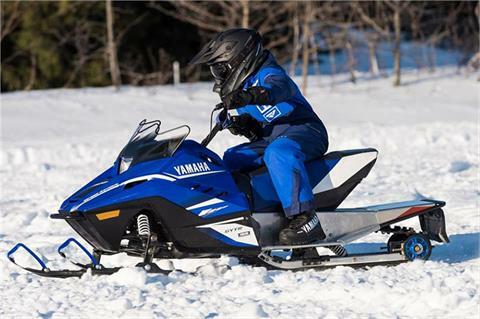 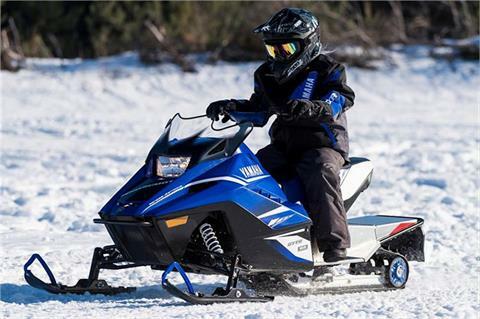 YAMAHA 200 CC 4-STOKE ENGINE: The dependable Yamaha fan-cooled motor has been engineered for the SnoScoot using a high volume carburetor, diaphragm fuel pump and special cam shaft. 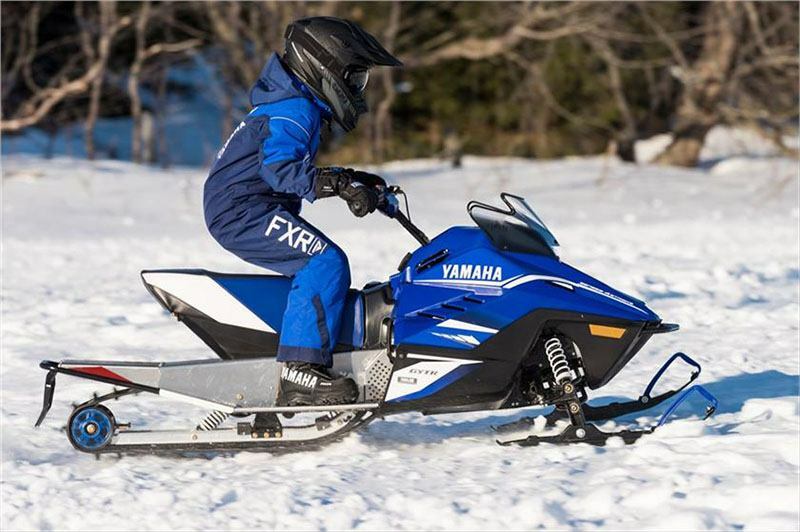 Beyond bullet proof reliability; an easy pull recoil starter and quiet operation are also important features for young riders. 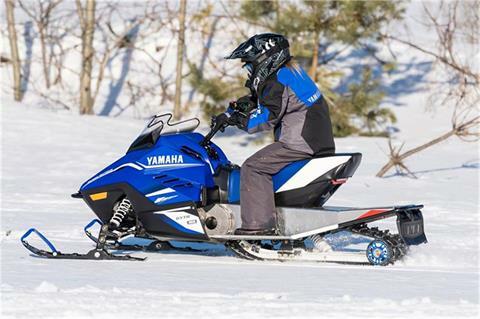 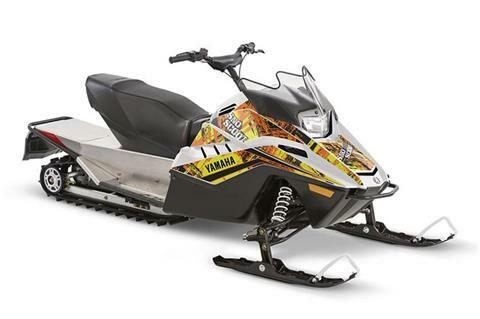 LARGE FUEL TANK: A generous 2.1 gallon / 8 liter gas tank combined with the miserly fuel consumption of the efficient 4-stroke engine will keep your little sled-head out doors enjoying fun-filled hours between pit stops. 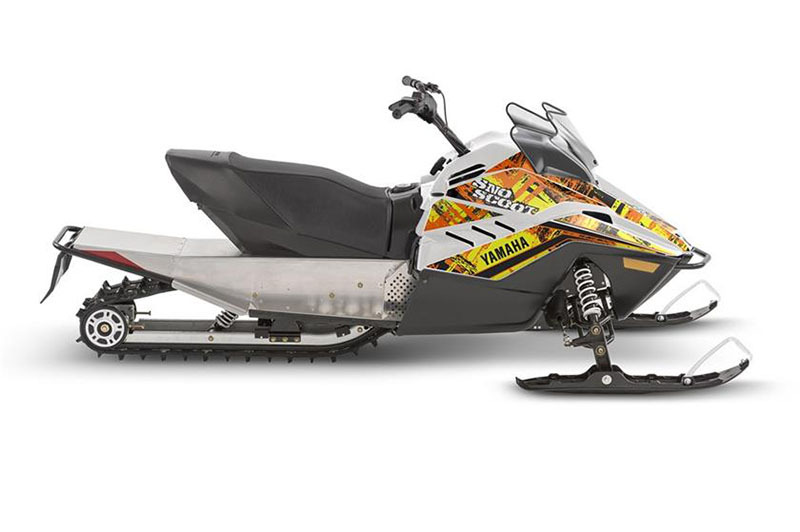 COBRA TRACK: The SnoScoot has ample traction and flotation thanks to its 93 x 10 x 1.0 inch lugged Cobra track. This track affords a great balance between hard pack agility and fresh snow ability. STYLING: The hot look of the SnoScoot is guaranteed to appeal to the young shredder. Taking its styling cues from our full size performance machines, the SnoScoot is now the envy of the school yard.